Gmail has a series of optional features called Gmail Labs. If you’re a Gmail user, some of these can add serious time to your day. If you want to get yourself out of trouble and be more efficient in Gmail, installing these takes about 60 seconds. I’ve broken my list into three parts, those that just take one click and that everyone can save time with immediately, those that take a little more setup, and those that have less to do with productivity but I still wanted to mention. Forgotten Attachment Detector – if Gmail detects language indicating you meant to include an attachment, and there are no files attached, it’ll warn you before sending the message. Vacation Time! – We often forget to turn on or off our vacation auto response messages. With this, you can now set start and end dates for your vacation message…so it’ll automatically turn on and off during the dates you select. Send & Archive – When you respond to a message, the next thing to do is archive it. But we usually forget to remove it from our inbox until much later. This adds an option to both send a reply and archive the message thread at the same time, saving you the trouble to come back later and file it. I LOVE THIS. Undo Send – Did you ever press the send button and then realize right afterwards that you forgot something or that there was a typo in the subject or perhaps something much worse? Undo Send gives you a short amount of time (assume 5 seconds) to press a new Undo hyperlink before it mails out your message. So if you made a mistake, you can fix it before the message is delivered. Suggest More Recipients – When you start messaging a group of people, Google intelligently selects who else you frequently send to along with that group. This is incredibly helpful. For instance, in the message below, Melody and Tim are usually involved when I’m messaging Genie and Jessica. Offline – this is the only one that requires an installation, but it’s also pretty amazing to be able to read and respond to email while you’re offline. If you find yourself on a train, plane, or generally without internet access, this can come in handy. Signature Tweaks – I don’t like my email signature going at the bottom of the email, I much prefer it just below the message I’m sending. This takes care of that. Advanced IMAP Controls – Since I use Postbox on my desktop I like to be able to control which labels (i.e., folders) are synchronized and which aren’t (I find the “All Mail” label to be redundant). This lets me do that. 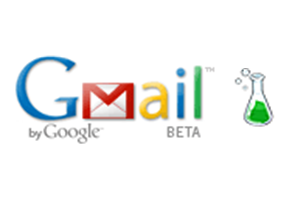 Other Gmail Labs or Gmail tools you find to be particularly helpful? You should really subscribe to Technotheory via email or rss. Thanks for this terrific post. It’s not always easy to separate the wheat from the chaff, and these seem to be really useful. You might also want to mention the “Canned Responses” feature. While there are many uses for this, my personal favorite is the ability to thoroughly customize your email signatures. For example, you can have multiple signatures to select from, depending on who you are responding to. I especially appreciate the ability to add images to my signatures through the use of this Labs feature. With regard to awayfind… I really like the idea of allowing my clients or those important to me to be able to notify me when I am on the road… I have turned off the email alter on my i Phone and an sms message is useful when In need to get back to people… I’m not sure how many of my clients and friends may need instructions. bcj19, The canned response feature is great, too! I don’t think it’s for *everyone* so I didn’t include it. I was just trying to suggest universally applicable stuff…but for those it helps, yes, it’s wonderful! Jared, amazing title and great article. You are really killing it with the content. I’ve spent some time browsing around and I just wanted to say congrats on this site. It’s amazing presentation and amazing content. Nick, I’ve watched your blog grow considerably over the last couple years…and your content has gotten continuously more interesting and practical, too. This means a lot coming from you : ). Thanks for reviewing and making sense of these tools – I hope Google makes some improvements to the task list soon (such as entering a to-do by date! ), but like you say its good enough for now. I really like AwayFind and your advice, it has definitely increased my productivity over the past few months, and I continue to spread the gospel as much as possible, though several friends are still stuck in their email addictive ways. Can I use that one?? 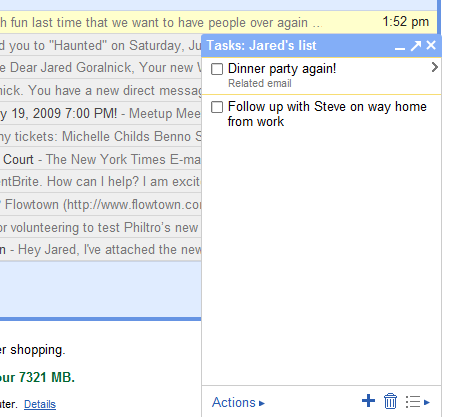 Super helpful post Jared, I often forget about the labs feature of Gmail. I just recently took the time to learn the key commands as well, now if I could only clean out my inbox I could be more productive like you. Anyone know of a FF Add-on or Gmail feature that will organize and index attachments better? This way you could look at “photos” and it would bring up an index of all the photos in your gmail account… or you could search as per usual but under a file type (without using complex search operator syntax). Xoopit used to do this but now only works in Yahoo accounts. Essentially similar functionality to advanced search in Postbox, but in Gmail. Xoopit was the only one I knew of…but yes, getting purchased by Yahoo kind of changed their direction. Is there any doubt that email is a serious timesuck? I've built a small web tool that helps you to get the heck away from email—so that you can do real work on the job, or vacation in peace. If you like what I write about here, I think you'll enjoy AwayFind. I am Jared Goralnick, Founder and CEO of AwayFind, a web startup that helps people to stop checking their email. Productivity, the future of email, and building ecosystems are my passions. I organize Inbox Love & Ignite DC, and mentor at 500 Startups & Founder Institute. I'm open to speaking opportunities. How does a geek plan for 3 weeks in 4 countries with a small bag & a laptop? Aim for progress, not perfection. Making sense of a year. I am. Once upon a time. I’m not. Did I Get Things Done?